Lebanon is considered a hub for high-quality healthcare services in the Middle East due to its reputable, internationally accredited hospitals and talented doctors. Capitalizing on its competitive advantages, Lebanon’s nascent pharmaceutical market is experiencing fast growth and becoming more competitive regionally and globally. 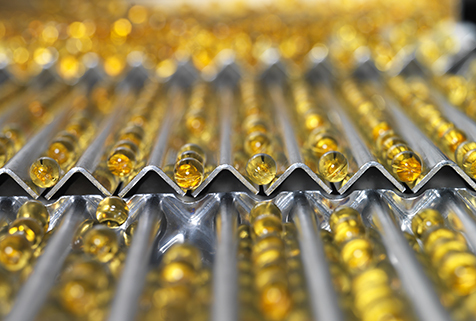 Opportunities exist to tap into the manufacturing of Over-the Counter (OTC) medicine, generics and patented drugs under license of international companies. The market size of the pharmaceutical sector stood at USD 1.82 billion in 2017 and is expected to grow at a CAGR of 5% to reach 2.3 USD billion in 2022. Per capita pharmaceutical spending is expected to increase from USD 299 in 2017 to USD 395 in 2022, considered one of the highest in the region. Patented drugs account for around 50 % of the market, and over-the-counter (OTC) and generic drugs account for around 25 % each. The sector comprises more than 100 importers and 11 manufacturing facilities. Pharmaline has the biggest share of the local market accounting for around 40% of total market sales, followed by Benta Pharma (32%), Algorithm (15%), and Mediphar (12%). Export activity has been picking up recently, with pharmaceutical exports growing at a CAGR of 11% from 2014 to 2017 reaching USD 52.5 million in 2017. The leading exporting countries are Iraq (23%), UAE (20%), Saudi Arabia (19%) and Kuwait (11%). Imports stood at USD 1.2 billion in 2017, accounting for 7% of total industrial imports. The leading importing countries are Germany (16%), France (12%) and United States (11%). Growing MENA Pharma sector which is expected to grow at a CAGR of 8.5% during the 2015-2020 period, backed by population growth, rising incomes and rise in lifestyle diseases. Growth of the Generics drugs Market with MENA region Generics market forecasted to reach USD 734 million in 2020 with Egypt, Jordan and Morocco the top countries for generic drugs sales. Lebanon already manufactures around 21% of total generics available in the market therefore there is an opportunity to increase this ratio especially after the national Government declared its intention to amend existing regulations to allow pharmacists to offer generics brands of prescribed drugs to patients. Governmental measures for the protection of the local pharmaceutical industry after the Ministry of Health recently declared that imported drugs will undergo review and adjustment of their prices every 3 years instead of 5. Those measures are expected to benefit the local pharmaceutical industry. Growing market for natural cosmetics: Demand for natural and organic products is growing exponentially driven by increased awareness on health and wellness. Lebanon’s cosmetics industry ranks amongst the top 5 Lebanese exports indicating its strong position and its potential to grow to address regional and global demand.